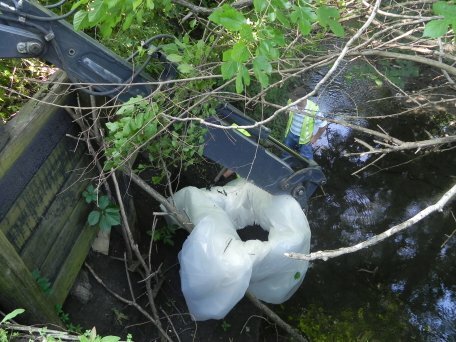 On Wednesday, June 6, 2011 at 2:00 p.m., the 5th & Hill Neighborhood Rights Campaign held a press conference at the Boneyard Creek on Washington Street, just north of Skelton Park in Champaign. This press conference was held on the eve of the City of Champaign’s work to begin excavation of the toxic pipe at the Boneyard Creek. 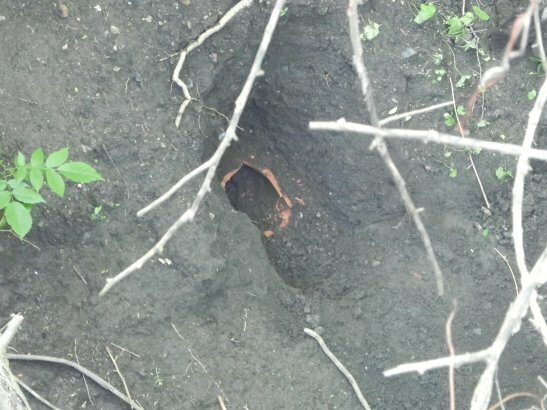 The City of Champaign’s work to excavate this century-old toxic clay pipe at the Boneyard Creek is in response to CCHCC’s Notice of Intent to Sue, filed in February 2011. 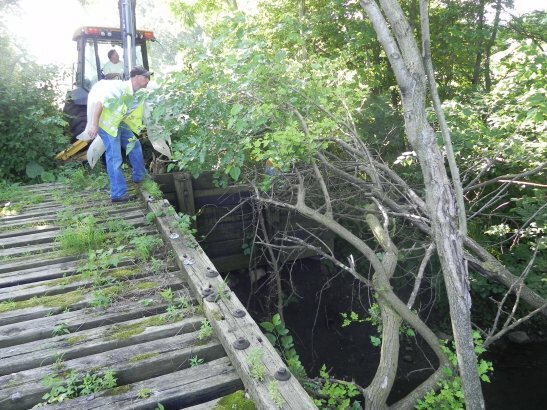 CCHCC filed the Notice of Intent to Sue letter with the City of Champaign, under the federal Clean Water Act, stating that the toxic pipe is on City property and therefore the City is responsible for taking corrective action to stop any discharges from the pipe into Boneyard Creek. 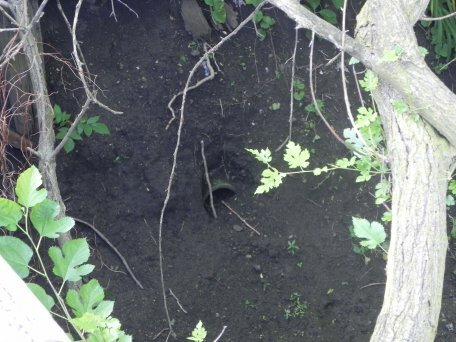 The pipe is believed to lead from the former manufactured gas plant, located at 5th & Hill Streets in Champaign about 5 blocks away, and is thought to have been used to discharge waste materials from the plant into the Boneyard Creek. 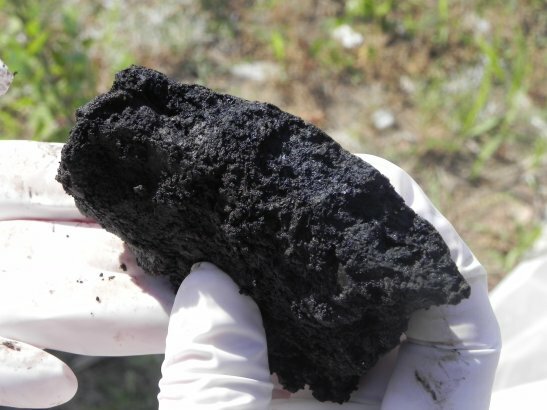 Although the pipe has been unused for many years, toxic materials still remain in and around the pipe, potentially continuing to discharge waste into the Boneyard, affecting Champaign, Urbana, and beyond. 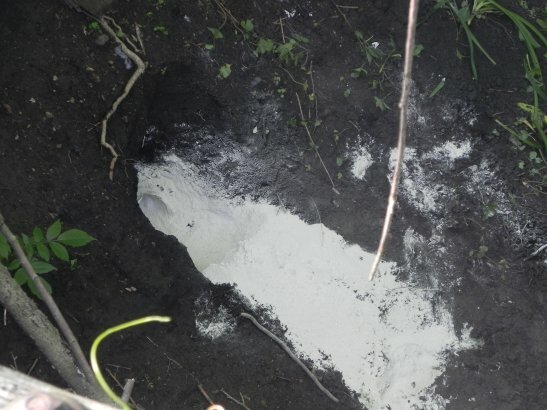 The soil and other materials around the pipe have been tested by the 5th & Hill Neighborhood Rights Campaign’s environmental experts, and have come back positive for volatile organic compounds and poly cyclic aromatic hydrocarbons, both of which have been know to be carcinogenic. 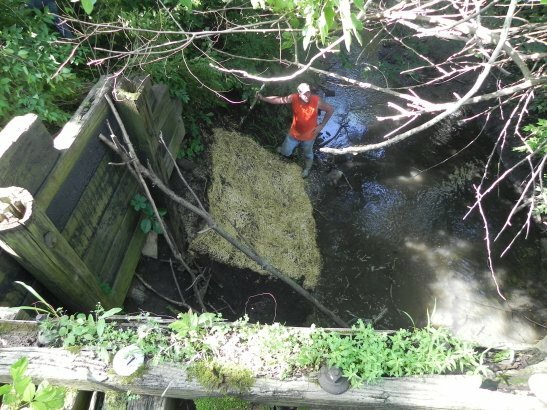 5th & Hill Neighborhood Rights Campaign applauds the City of Champaign for finally taking action to reduce the threat of exposure to toxic materials by ensuring that the pipe can no longer discharge waste into the Boneyard Creek. 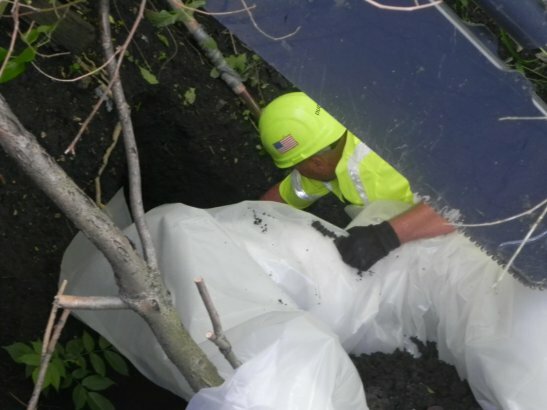 The 5th & Hill Neighborhood Rights Campaign is now turning it’s attention to the Illinois Environmental Protection Agency, demanding a full investigation and clean-up of the reminder of the pipe. If you need more background on the pipe, and how CCHCC found and proved the existence of the pipe, you can go to this section of our website. 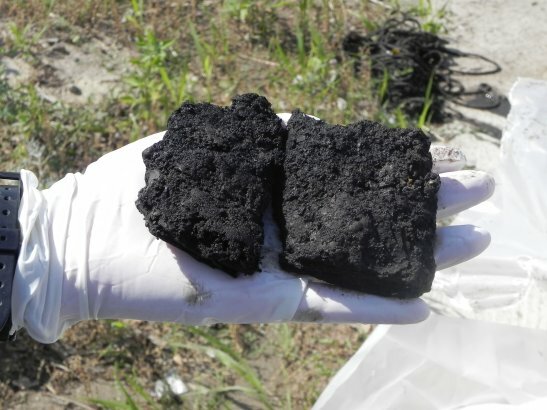 Here are some photos of the pipe excavation process. Click here to see information about phase 2 of the pipe excavation.